The events of May 2011 in Japan, an earthquake and tsunami, followed by a nuclear power plant disaster sounds like a very extreme series of events from a Hollywood disaster movie. With talk of a potential nuclear meltdown in Japan, I recalled the nuclear meltdown movie of the late 1970s, The China Syndrome, and the real world events of Three Mile Island. The 1979 movie The China Syndrome tells the story of the fictional Ventana nuclear power plant in California. The movie stars some big names of the day such as Jane Fonda, Michael Douglas and Jack Lemmon. Fonda plays the part of television news reporter Kimberly Wells and Douglas is her cameraman Richard Adams. During a visit to the fictional Ventana nuclear power plant while filming a routine feature they witness an emergency shutdown. The cameraman secretly films the events and has the incident analyzed by nuclear scientists who conclude the plant was on the verge of a meltdown. The reporter and the cameraman try to get the truth out, but are hampered by powerful folks in the media. The storyline also revolves around Shift Supervisor Jack Godell, played by Jack Lemmon. Based on some unusual vibrations and faulty meter readings Godell believes that the plant is unsafe. Godell also uncovers evidence of X-rays used to check key welds have been falsified. Godell is on a mission to bring the evidence to the attention of the public, and prove that bad deeds are being covered up. The term China Syndrome describes a fictitious result of a severe nuclear meltdown in which molten reactor core components penetrate their containment vessel and building and melt through the crust of the earth and reach China. The China Syndrome was realeased in March of 1979. In an very odd case of fiction foreshadowing reality, the movie was released just 12 days before the Three Mile Island nuclear accident in Central Pennsylvania not far from the state capital of Harrisburg. 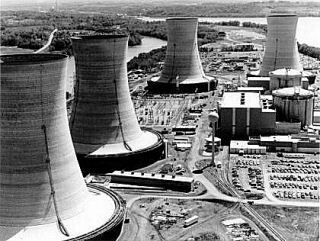 I was living in Western Pennsylvania and saw the movie at at theatre during a time when Three Mile Island was a topic of the nightly news. I can very vividly remember one line from the movie where one of the scientists in the film says that the China Syndrome would render an area the size of Pennsylvania permanently uninhabitable. While the line from the movie was meant to be serious, due to the odd circumstances of day it drew a bit of nervous laughter from the crowd. The accident at Three Mile Island nuclear power plant in Pennsylvania is the most famous incident in United States history, even though it led to no deaths or injuries. The Three Mile Island number 2 reactor has since been permanently shut down and defueled. Potential Dangers of Nuclear Power. 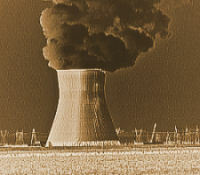 While it was indeed quite a coincidence that the events of Three Mile Island seemed to coincide with the release of the movie, the first draft of the screenplay in 1974 was actually based on a real event at the Dresden II reactor near Chicago in 1970. Screenwriter Mike Gray understood the technology and used realistic jargon in his script. The Events of Three Mile Island as well as the movie The China Syndrome solidified anti-nuclear safety concerns resulting in new regulations for the nuclear industry. Even with the odd timing of being released just before a potential nuclear meltdown, the movie was only moderately successful in 1979, finishing the year as the 14th highest movie in box office revenues. The China Syndrome is a political thriller appealing to feelings of public distrust of large corporations and fears of the potential dangers of nuclear power. Whether or not you buy into all the conspiracy theories and cover ups is a matter of constant debate. But conspiracy theories make for interesting movies.